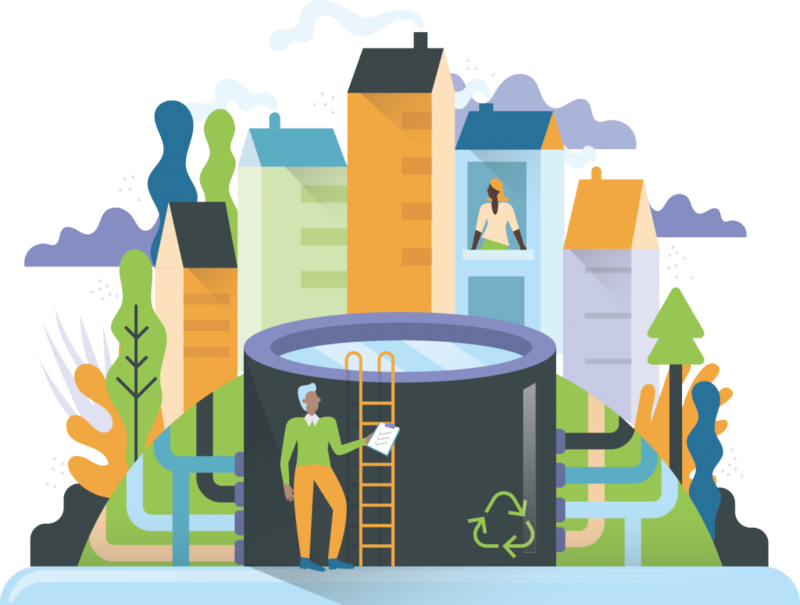 Reuse water distribution is typically performed by either conveying water in a separate pipe network from the drinking water, or transporting reuse water via trucks from the treatment facility to end users. In direct potable reuse, the recycled water can be introduced and distributed through the drinking water distribution system network. Therefore, the energy and GHG emissions from reuse water distribution will be via pumping (in pumped systems) and fuel consumption via truck deliveries. Energy source for heating hot water (renewable, fossil fuels, grid energy mix). Pump operation / scheduling (pumped systems). Recovering energy from water runing downhill (topographic energy). 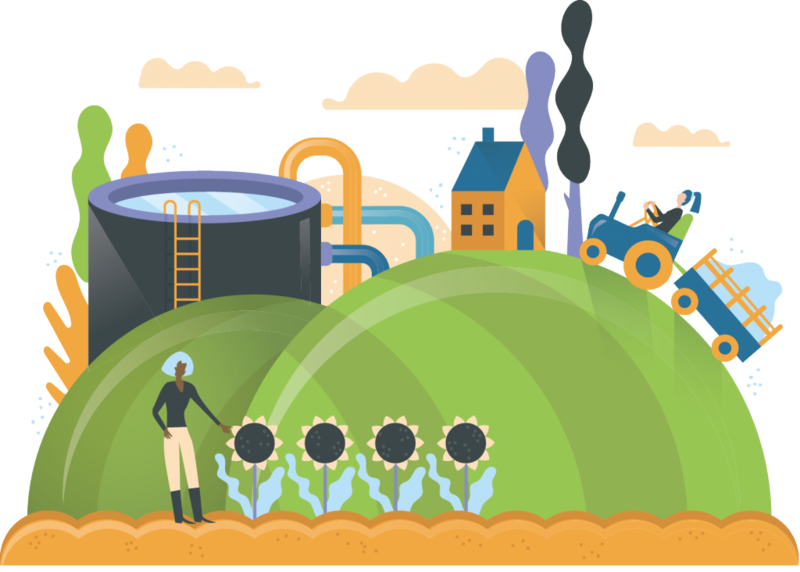 Access to reuse water dictates whether it is used and how much. The use of reuse water by end users offsets water consumption from the raw water source, which reduces the dependency on a potentially limited water resource and may reduces pumping and treatment energy. The reuse water demand by end users and their location compared to the treatment facility dictate the volumes to be distributed over which distance and the associated pumping or truck delivery requirements. A pressure management area is a hydraulically discrete area which has the potential for reduction of excessive system pressures while still maintaining acceptable levels of service to the customers. Less energy consumption of water pumping. Potential to recover energy between pressure zones. Research has shown that the quantity of water lost through leakage is proportional to the operational pressure of the system. Therefore, reducing system pressure, particularly during periods of low demand, will have a significant impact on leakage. Service level is affected, especially in elevated areas or high rise buildings. Control pressure helps to reduce water leakage and reduce water loss. It also reduces energy costs when water supply is not by gravity only. To supply water in a hilly terrain often high water pressure heads are applied at the pumping station. This requires however unessesary energy and the high pressure heads in low-lying areas increase probability of pipe breakage. Hydraulic modelling of the network help to analyze constraints of the system and identify possible solutions. Smaller pressure zones may require multiple small reservoirs to break pressure surge due to extreme differences in elevation and to guarantee water availability in case of pumping malfunctions. Energy saving. Less water losses. Use a water distribution system modelling software to assess baseline and future operation, optimizing pump operation to reduce energy consumption, and identifying and reducing water losses.